Owner of a ramen restaurant. She had a deep grudge against Joi participants, as her husband was killed by terrorism. 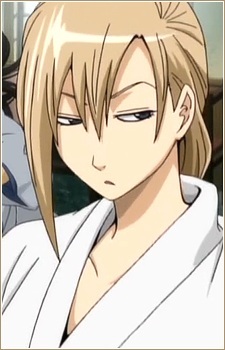 Katsura worked at her restaurant when he was injured and hid from the Shinsengumi. He repaid her favour by helping her during a crisis. Although she now knows his identity as a Joi participant, they are on friendly terms. Katsura's subsequent television interview was carried out at her restaurant. She also has a quite friendly relationship with Gintoki, as he's mentioned to frequently visit her store.